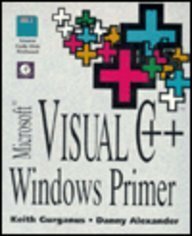 An introductory, hands-on tutorial for programming with Microsoft Visual C++. The application development process is tracked from beginning to end and realistic application development examples are found throughout the book. It's perfect for beginner programmers familiar with the C programming language; no C++ programming experience is assumed.